Vet charity PDSA is calling for more cat owners to get their pets neutered to protect them from a killer disease. Feline Immunodeficiency Virus – FIV, similar to the HIV virus in humans, has no cure but is easily prevented. Ahead of World Aids Day tomorrow (December 1), PDSA has revealed that nearly 900,000 cats* in the UK are not neutered, meaning they have a much greater risk of contracting the deadly disease. Many owners remain unaware of the FIV virus, which belongs to the same family of viruses as HIV, and can lead to the breakdown of a cat’s immune system. Like HIV, cats with FIV can live for long periods where they appear healthy and show no signs of illness, but euthanasia is often necessary towards the later stages of the disease. . FIV poses no risk to human health. With no vaccine available, neutering cats is the best way to protect them as it reduces the chances of them coming into conflict with each other – the primary cause of the virus spreading. PDSA Vet, Vicki Larkham-Jones, explained that FIV was primarily transmitted by biting, meaning that unneutered male cats have the highest risk of contracting it. Vicki said: “FIV belongs to the same group of viruses as Human Immunodeficiency Virus (HIV) and in much the same way as HIV, it depletes the number of white blood cells, meaning they are more prone to infection. “The virus lives in the blood and saliva of infected cats but, like HIV, it cannot survive long outside the body, so direct contact is usually necessary to spread the virus. “Once a cat contracts FIV there is no cure, so the best way to protect them is neutering. Thanks to funding support from players of People’s Postcode Lottery we’ll be delivering 30,000 neutering operations this year and educating pet owners about the benefits. If a cat is diagnosed with FIV it is vital for owners to take steps to protect their pet and prevent the risk of them spreading the disease to other cats. Vicki continued: “It is vital that an FIV-infected cat is neutered. They also need to be kept indoors to avoid contact with other cats. Though potentially fatal, thousands of cats live with the condition, and with good veterinary care and support from their owners, most enjoy a good quality of life for many years. Twelve-year-old cat Sid, from Brighton, has FIV and was adopted by Julie Southwick (33) and her family seven years ago. 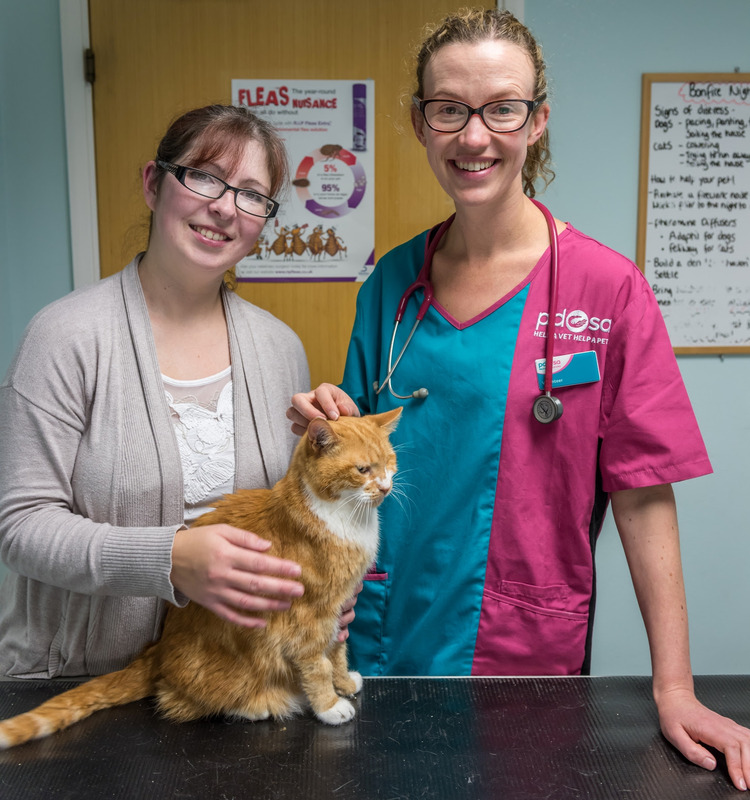 The ginger cat has enjoyed relatively good health in that time, although he suffers from recurrent urinary tract infections and was recently treated by PDSA’s Brighton Pet Hospital for a severe mouth infection. Mother-of-three Julie said she had adopted Sid as she believes many people are unwilling to give cat’s suffering with FIV a home. She said: “Sid was taken into a rescue centre after he was injured in a road traffic accident. While he was there he was diagnosed with FIV. “He’s such a gorgeous cat but he’s been through the wars and you can tell he was a fighter from his battle scars. Sid is now neutered and Julie is careful to prevent him passing the disease on to other cats. She said: “We live in a bungalow so it isn’t a problem that Sid has to be an indoor cat. He is great with the kids, we just have to be careful that no one accidentally leaves any doors open. In the summer we do take him outside on a lead so he can enjoy the warm weather but still be safe.